ENJOY UP TO 50% DISCOUNT ON RESERVATION FEE TILL JULY 31, 2013! Feel free to inquire 09209893278 for more details! 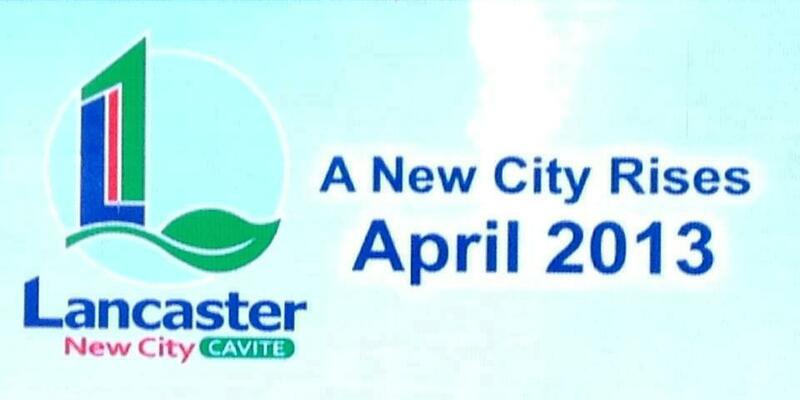 Lancaster New City Cavite is the new name of Lancaster Estates - a bigger, better with the best hi tech IT Park in cavite in one community! 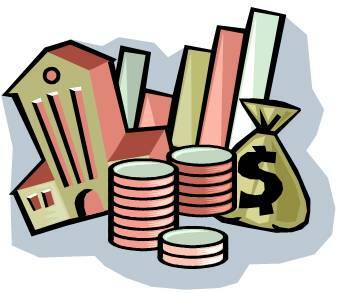 Be part of Lancaster New City by owning a home now! We want you to come and see Lancaster Estates on its Open House that will feature its "LANCASTER SQUARE" on September 22, 2012, Saturday from 9am to 5pm. Avail of promo discounts we offer for buyers aside from the whole day fun and activities we prepared for you and your family. For free site tripping and advance registration, please call or text me: mafe aringo 09209893278 / 7753251. 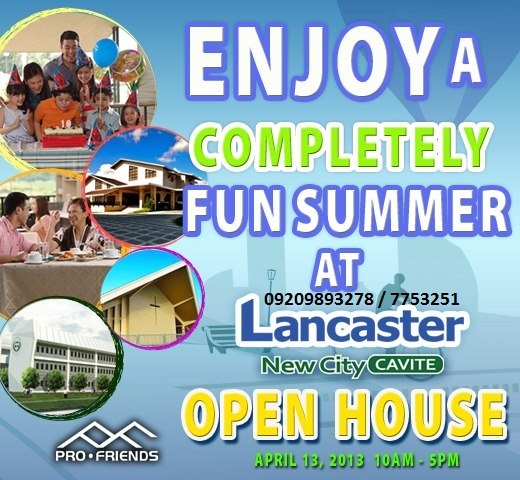 There will be an OPEN HOUSE AT LANCASTER ESTATES this July 14-15, 2012 offering up to P10K discount on 1st month DP for reservations made on those dates! Have an appointment with us now! Lancaster Estates (Alice, Catherine, Diana - P2,500.00..., Perimeter Areas of Colleen and Haven - P10,000.00, Sophie, Margaret, Gabrielle, Alexandra - P8,000.00; Bellefort Estates Charlotte - P8,000.00 Sabine - P10,000.00, and Vivienne - P12,000.00. Profriends' Newest House and Lot Project up North...The PALMS at the Lakeshore Estate in Pampanga!!! 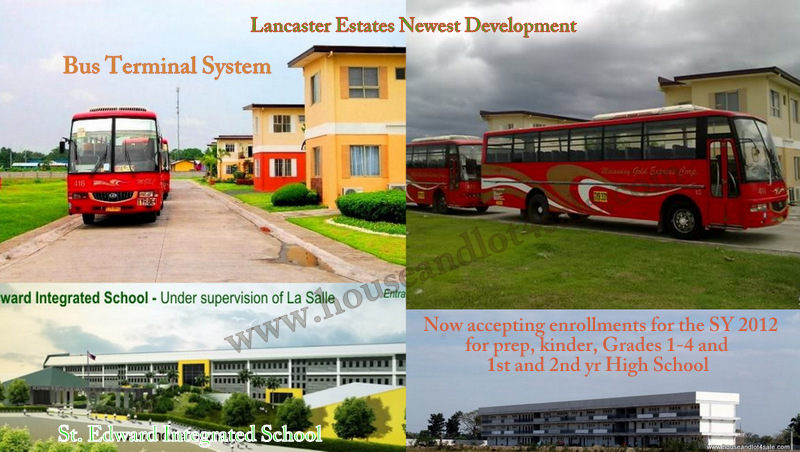 Lancaster Estates' St. Edward's School now have enrollees for selected levels for the school year 2012-2013!!! it is under consultancy with the La Sallian Schools Supervision Office. When it opens for the SY 2012-2013, it will initially offer Junior and Senior Prep; Grades 1 to 4 and first to second year high school. - will be plying to and from Lawton, Manila to Lancaster Estates and also from EDSA to Lancaster Estates. Lancaster Estates gets more accessible, easy and convenient. Hence, the more reason to join the community! For RSVP and meet-ups: Kindly call/reach us or simply leave us a message with your name and contact details (we will call/text you instead).